Kunming, the capital of Yunnan Province, China, is known for its pleasant climate and flowers blooming all year long. 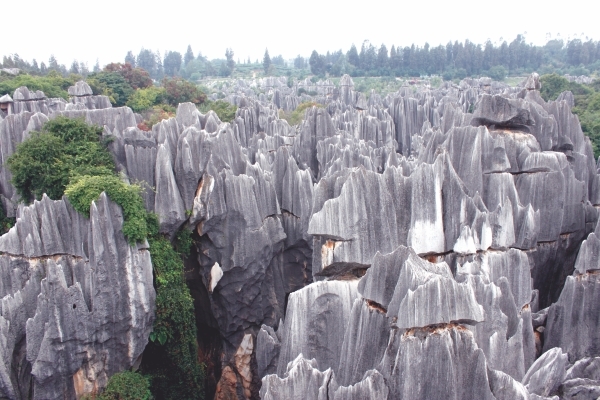 Especially its unique natural landscapes such as the over 270 million year old Yunnan stone forest which has magnificent strange formations of stone vistas that makes one feel like being in a maze in search of the 'Earth's natural Wonders' within itself. Kunming is also the focal point of Yunnan minority culture and thus is rich in tradition. Some 26 ethnic minorities such as Yi, Bai, Miao, Dai, Hani and more inhabit the region. Each group has its own featured festivals such as the Torch festival of Yi people, the Golden Temple Fair and so on. 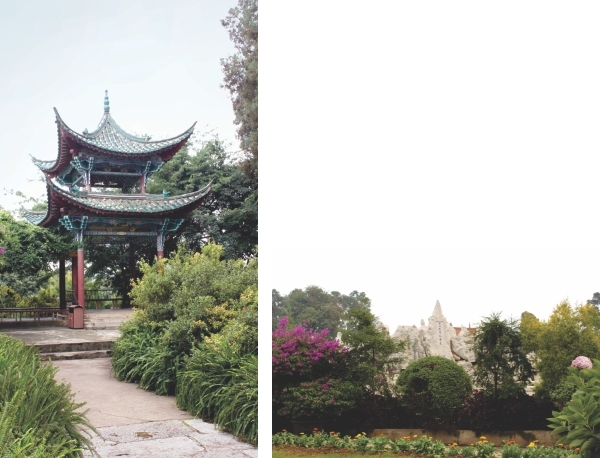 The hugely successful 1999 International Horticultural Expo Garden enhanced Kunming's influence in the world resulting in a snowball effect on tourism as more foreigners come to discover this enthralling part of China. The city centre blends well tradition and modernism in its architectural structures such as the city gate, commercial district and its various temples that have stood the trials of time. A traditional pavillian at Colourful Yunnan Village. A manicured garden at the Stone Forest. 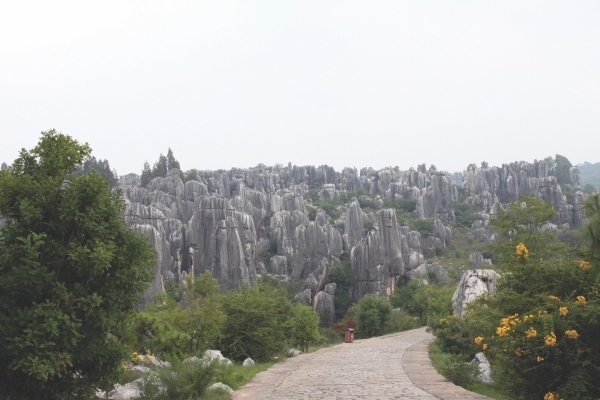 The magnificen,t mysterious Stone Forest. Traditional folk dance being performed at the Stone Forest.